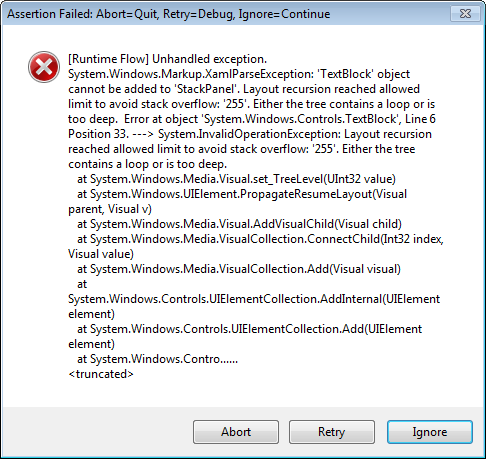 The same problem exists when you view monitoring results in Visual Studio 2008/2005. In .NET 4.0 the layout recursion limit is increased from 255 to 4096. 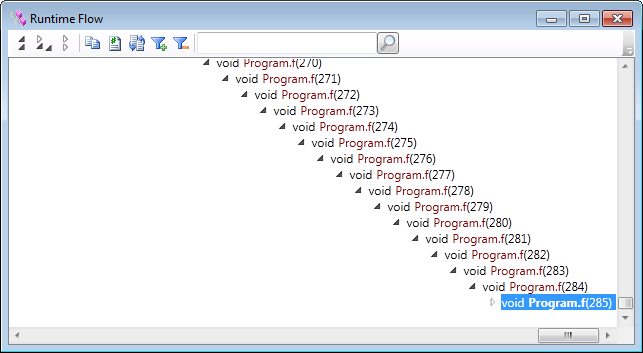 So in Visual Studio 2010 you can view much deeper stacks (though not 1024 deep due to other limitations). 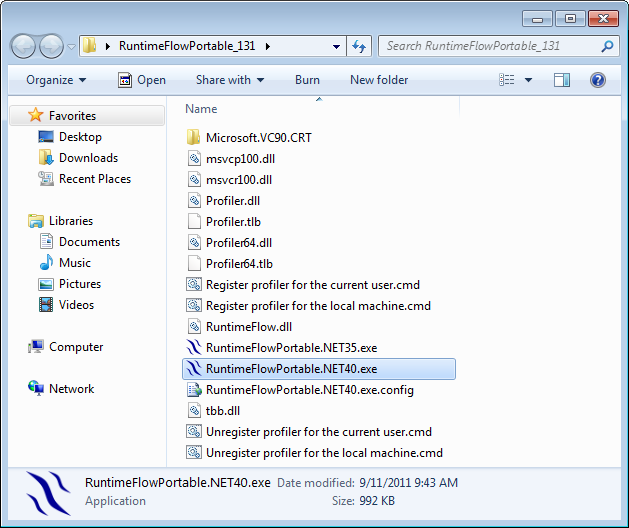 Download link: Runtime Flow portable edition v1.3.1.